Hotel Managers, Please Ensure That Your Guest Reviews Stay Fresh! 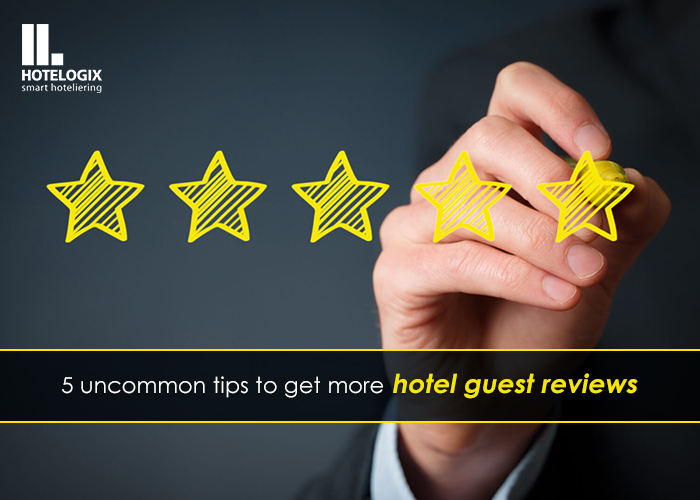 It’s no secret that reviews play a vital role in attracting guests to your hotel today. A large proportion of guests check a hotel’s ratings and read what others have to say about it on TripAdvisor before making a reservation. So it’s no surprise that properties with a larger number of positive reviews stand a better chance of selling out. But like with anything in the world, too much of a good thing can turn out to be harmful. Leery reviews have been overloading the TripAdvisor profiles of a number of hotels, with many of them posted by suspicious profiles. These kind of reviews can seriously impair the hotel’s image as well as the credibility of the region’s industry. But the problem goes deeper. In addition to fake profiles, sometimes hotel managers themselves get their friends and other people to post positive reviews of themselves and negative reviews to defame competitors. Users place a lot of value in online reviews and almost always go by the recommendations of others. With it becoming increasingly hard to tell legitimate reviews from the illegitimate ones, TripAdvisor have improved their filtering parameters to try and clear out the fake reviews. Incomplete calendars inhibit your property from optimizing its available inventory and could be costing your hotel bookings. An up-to-date calendar saves time for your front desk staff, who are don’t need to go through the trouble of pulling up dates to check their availability. Few things turn off travelers more than outdated or incomplete rates. TripAdvisor takes several things about a property into account while ranking, and a property that updates its rates regularly is often preferred to one that doesn’t. They say a picture is worth a thousand words and indeed, surveys have indicated that guests will often visit a property’s own website to take a look at its pictures. Make sure that your property’s profile is regularly updated with pictures of all the amenities, rooms, restaurants – even pictures of the locality if possible! As we saw in the previous point, guests often visit a hotel’s website after seeing it on an OTA. They do this to learn more about the property, so it makes sense to fill up your TripAdvisor profile with a few paragraphs describing the various features and amenities provided. Display your property’s exact location – location and map were rated by travelers as the most important part of a listing. Failure to do this could cost you a lot of bookings, especially bookings by travelers searching in your area. Nobody knows about all the effort your property goes through to ensure a great guest experience for its travelers, except you. So it only makes sense that you try to make the most of their satisfaction by asking them to write a review about your property, doesn’t it? With a well-integrated property management system and an emailing tool, guests will receive a review request after they’ve completed their stay – they’ll even receive a reminder after 2 week if they happen to forget to do so! Boost Your Review With Automated Review Collection! "Hotel Managers, Please Ensure That Your Guest Reviews Stay Fresh! ", 5 out of 5 based on 1 ratings.